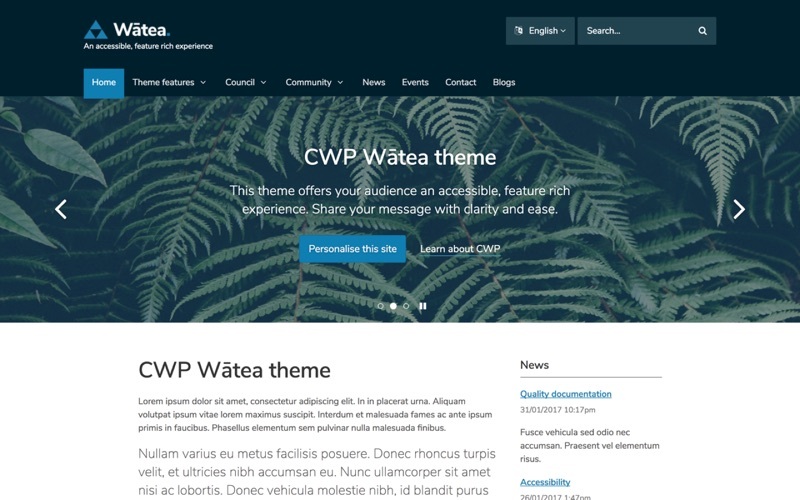 The WÄtea theme can be installed on top of the Starter theme (see cascading themes) to provide a more visually appealing start to a CWP website. You can find documentation on how to use this theme in the CWP Developer Documentation: Using the WÄtea theme. You may also find the documentation for the Starter theme useful: Customising the starter theme. The agency-extensions module provides additional functionality to the CMS for agency-style websites.